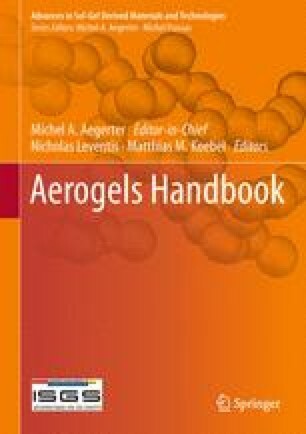 Aerogels are regarded as ideal candidates for the design of functional nanocomposites based on supported metal or metal oxide nanoparticles. The large specific surface area together with the open pore structure enables aerogels to effectively host finely dispersed nanoparticles up to the desired loading and to provide nanoparticle accessibility as required to supply their specific functionalities. The incorporation of nanoparticles as a way to increase the possibility of the use of aerogels as innovative functional materials and the challenges in the controlled preparation of nanocomposite aerogels is reviewed in this chapter. The authors are very grateful to D. Loche, A. Falqui, D. Carta, G. Navarra, and G. Mountjoy for discussion and proof reading.